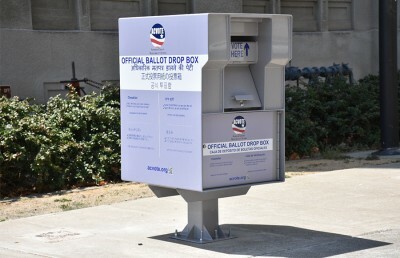 About 88 percent of Berkeley voters cast a ballot for Democratic presidential nominee Hillary Clinton, with finalized election results released by the Alameda County Registrar of Voters on Nov. 22. 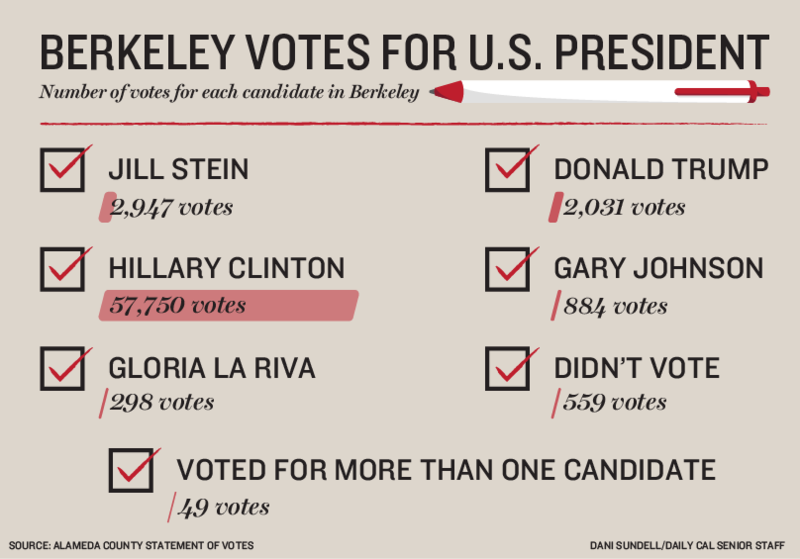 The next highest percentage for the presidential race in Berkeley went to Green Party nominee Jill Stein with 2,947 votes, about 4.5 percent of the vote, while Republican nominee and President-elect Donald Trump received 2,031 votes, about 3 percent of the vote — garnering the lowest percentage of the Berkeley vote of any Republican presidential candidate in over a decade. 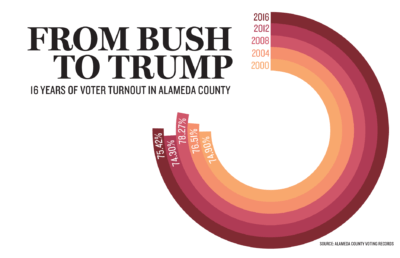 In 2000, President George W. Bush won about 8 percent of the Berkeley vote. The results for the U.S. Senate race in Alameda County were predictably and overwhelmingly Democratic — two Democrats, Kamala Harris and Loretta Sanchez sought the position. Harris won with 77.6 percent of the vote, clutching a predominant amount of precincts. But the state Assembly seat representing much of Alameda County was contested between the two major parties. In Berkeley, Republican candidate and UC Berkeley student Claire Chiara received about 6 percent of the vote, while Democratic candidate Tony Thurmond won with about 84 percent of the vote. The vast majority of the remaining votes were undervotes, meaning voters chose neither candidate. Alternatively, an overvote occurs when a voter marks more than one candidate. “(In) neither of those cases can we determine the voter’s intent, so they are not counted,” said Alameda County Registrar of Voters Tim Dupuis. In Alameda County, 8,868 people cast presidential undervotes, while only 1,834 overvotes were cast. The high numbers of overvotes and undervotes can be attributed to an overall uptick in voter turnout this year, according to Dupuis, and are not necessarily related to the divisive nominees. For the seat of Superior Court judge, however, the race was much closer. In Berkeley, winner Scott Jackson captured about 53 percent of the vote, while opponent Barbara Thomas received about 27 percent. Jackson won every precinct in Berkeley. 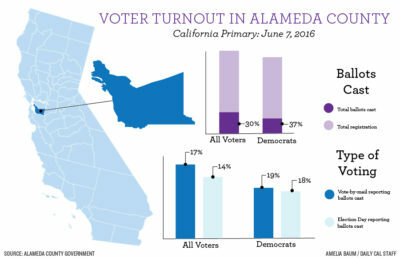 The overwhelming Democratic support is part of one of the highest voter turnout rates in Alameda County history, according to Dupuis. The county had a total of about 889,000 registered voters and saw about 75.42 percent turning out to vote — up from 2012 numbers but below 2008 records. The Registrar, which anticipated a 70 to 75 percent voter turnout rate, was pleased to exceed its upper goal by .42 percent, according to Dupuis. In order to meet these targets, the Registrar employs a group dedicated to helping people sign up to vote and holds year-round registration events. The Registrar has notified the California Secretary of State of the certified results, who will then certify the state as a whole in December. Contact Audrey McNamara at [email protected] and follow her on Twitter at @McNamaraAud.